With the September 22nd governorship poll inching closer, political parties have elected their candidates and submitted names to the Independent National Electoral Commission, (INEC) for the polls which will produce Governor Rauf Aregbesola’s successor. 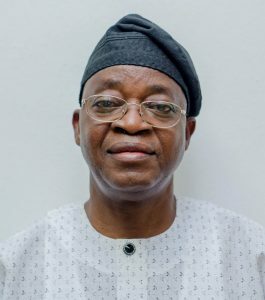 From findings, the election might be a battle among three candidates, Alhaji Gboyega Oyetola of the All Progressives Congress, (APC), Senator Ademola Adeleke of the Peoples Democratic Party, (PDP) and Senator Iyiola Omisore of the Social Democratic Party (SDP). Though, the candidate of the Action Democratic Party (ADP) Alhaji Moshood Adeoti and others might make some impact in the race, unless a miracle happens, none of them has the spread that could enable them garner votes that would beat the APC, PDP or SDP. The APC still remains the party to beat in the forthcoming election in the State of Osun. Though critics have listed a number of flaws of the current administration but its achievements are unrivaled since Ogbeni Rauf Aregbesola became the governor. From security aspect to infrastructural development, elevation of the governance system and decency in political practice, Aregbesola has earned himself the credentials of the author of the modern Osun to produce Oyetola as his successor. Not only that, the APC is considered the most popular and most organized party in the state, because it has been the ruling party in the last seven years. While the SDP is still trying to organise itself, having drawn together people from different political backgrounds, the PDP has gone back to the drawing board to see how it can attract more crowd pullers within the limited time to the election. Will it succeed, only time will tell. However, the APC has begun in and outdoor campaign for Oyetola, and spreading their tentacles across all towns in the state. It could be recalled that Oba Rasheed Ayotunde, the Aragbiji of Iragbiji had endorsed the APC flag bearer describing him as a responsible, God-fearing and capable person who is fit to govern the state. Omisore has begun his campaign in preparation for the forthcoming gubernatorial election in Osun. He launched his campaign in Aregbesola’s hometown at the palace square on Saturday, August 25. The campaign took off even as a large crowd of supporters were beaten by the rain which fell for most part of the day. 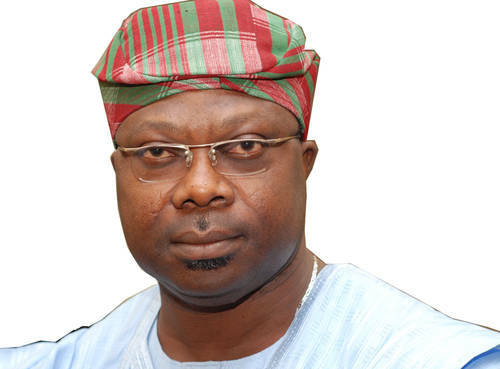 Omisore who was the former governorship candidate of the Peoples Democratic Party was detained by the EFCC in 2016 for allegedly receiving N1.3bn from the Office of the National Security Adviser under the leadership of Col. Sambo Dasuki (retd.) But now that he is the SDP governorship candidate, he dismissed allegations levelled againt him, saying, the EFCC ought to go after the PDP, which provided the funds and not him. Also, in separate interviews by our reporter, indigenes of Modakeke who spoke under anonymity raised several reasons why they will only be interested in accepting the resources given to them by Omisore but will never vote for him. Findings revealed that indigenes of the town are yet to overlook the prominent role played by Omisore during the crisis between Modakeke and Ife which many people were killed with multi-million properties destroyed. Those who spoke anonymity narrated how Omisore allegedly sponsored an attack on Modakeke people at Seventh Day Adventist School during the crisis. They also accused Omisore for not supporting them when he was the deputy governor of the state and during his 8 years term as senator. They raised allegations that no son and daughter of Modakeke got the connection of Omisore to secure employment or occupy public offices. Meanwhile, our correspondent learnt that Omisore has started meetings with top Modakeke-born political icons and traditional rulers to overlook his shortcomings and has promised to support the development of the town. 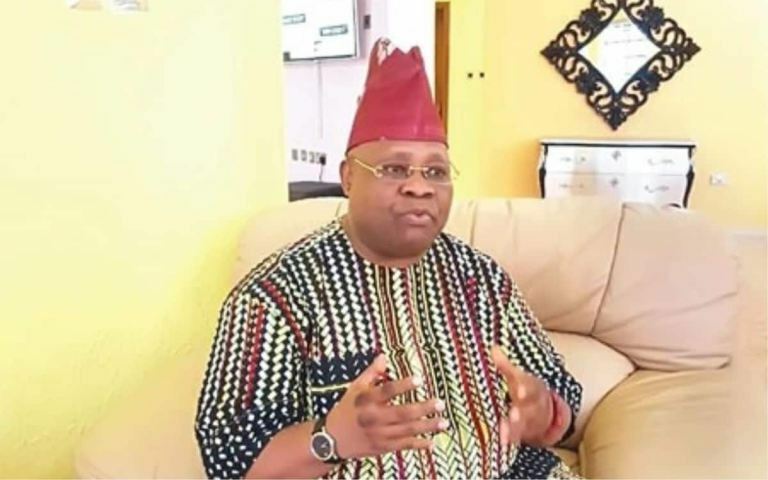 Even as the party elected Senator Ademola Adeleke as their governorship candidate, people of the state are yet to give total support for him, citing reasons. Some believe that a document allegedly submitted by the lawmaker as evidence of his educational qualification up to school certificate level does not meet the basic qualification stipulated by the 1999 Constitution (as amended) and the Electoral Act. There appears to be more trouble for the sitting Senator when the police commenced investigations into allegations of certificate forgery against him. Our correspondent gathered in Osogbo that policemen from Force Criminal Investigation Department (FCID), Alagbon, Lagos, visited Ede Muslim High School I, where the principal of the school, Mr. Khalid Abbas, was arrested and taken to the State Criminal Investigation Department (SCID) Osogbo before he was moved to Lagos. The PDP governorship candidate has since gave insight into the certificate saga. He said he was admitted into the university in the United States without presenting his West African School Certificate Examination result.